Day -11: "What's Math Got to Do With It?" Nothing exciting on campus today (at least not that I was a part of), so this was the best picture I could come up with. "What's Math Got to Do With It?" is a must read for all math teachers and administrators. 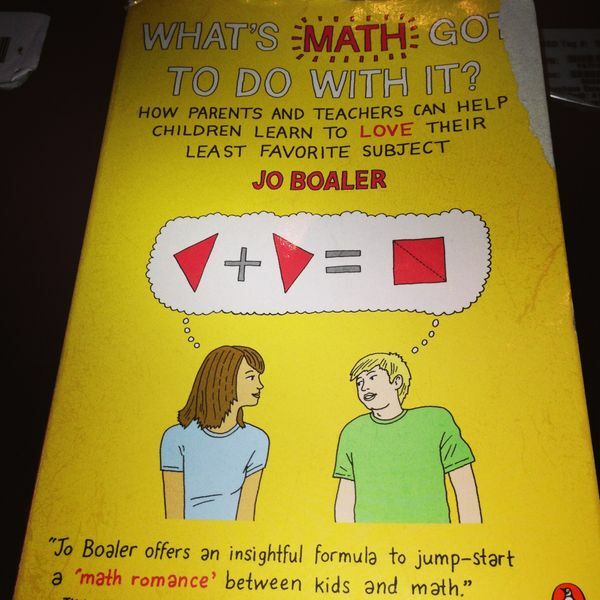 Dr. Jo Boaler makes her case clear: math education (in its current model) is failing most students, but there are ways to improve the relationship students have with math via some tweaks in mindset alongside a few pedagogical changes. I'm also taking her online class How to Learn Math which I recommend for all parents, teachers, administrators, and even older high school students. Take a look!